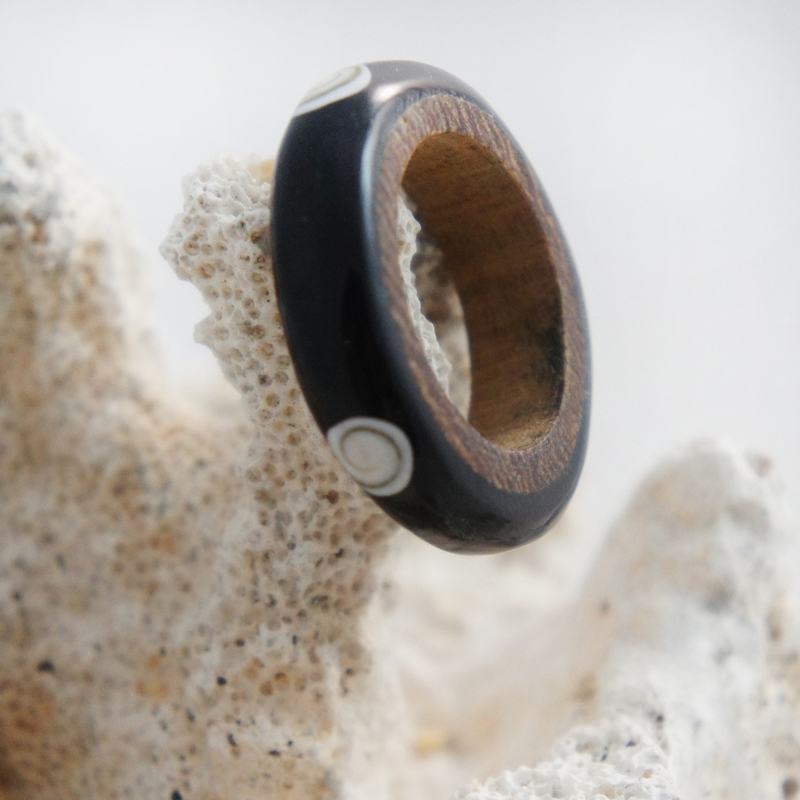 This classic style ring has an internal wood base with black horn on the outside. 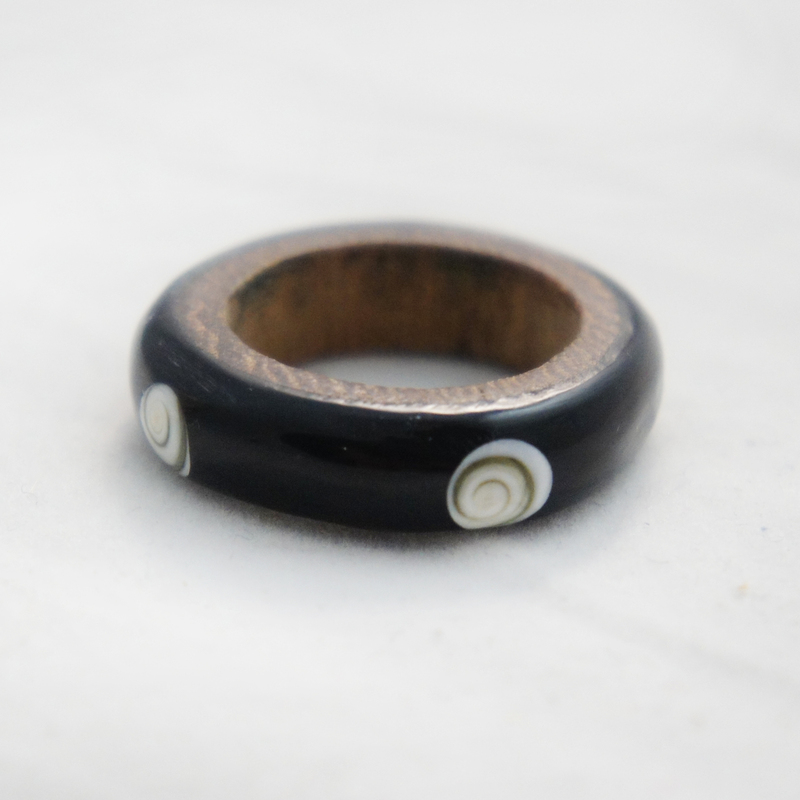 The ring is accented by with tribal white bone swirl designs. 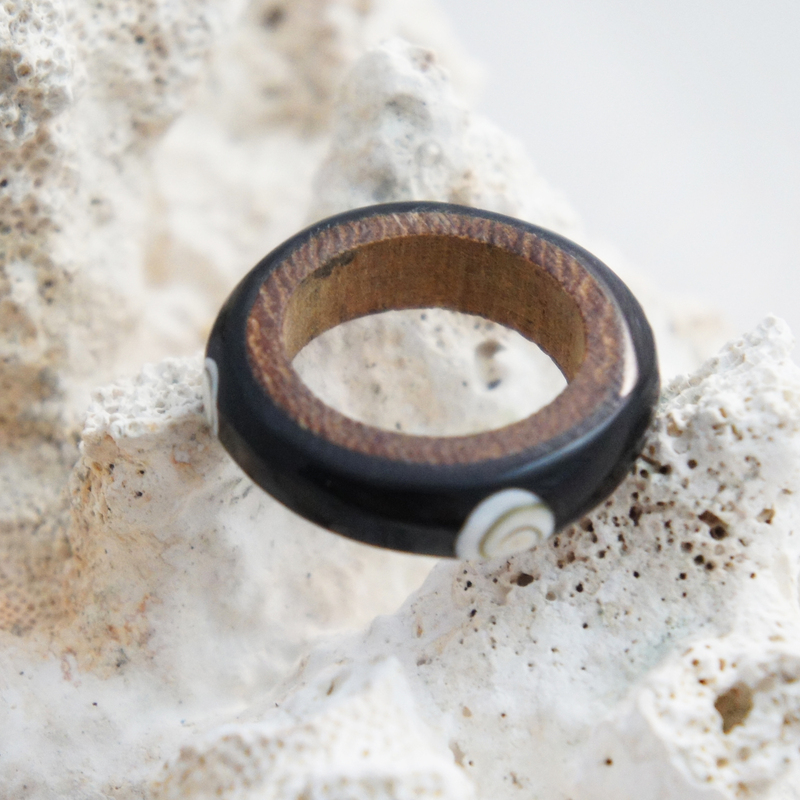 The natural beauty of the wood, horn, and bone combined in this ring create a unique piece of organic jewelry.